This is the 26th edition of the GéoMécanique newsletter. This new edition contains the latest news regarding research publications, conference visits and other activities of the staff and students from the GéoMécanique group of Laboratoire 3SR (Sols, Solides, Structures – Risques). If you have something you want to share, please don’t hesitate to contact us at: geomecanique.newsletter@3sr-grenoble.fr . Please feel free to forward the letter to colleagues and friends, and let them know that they can subscribe by themselves here. 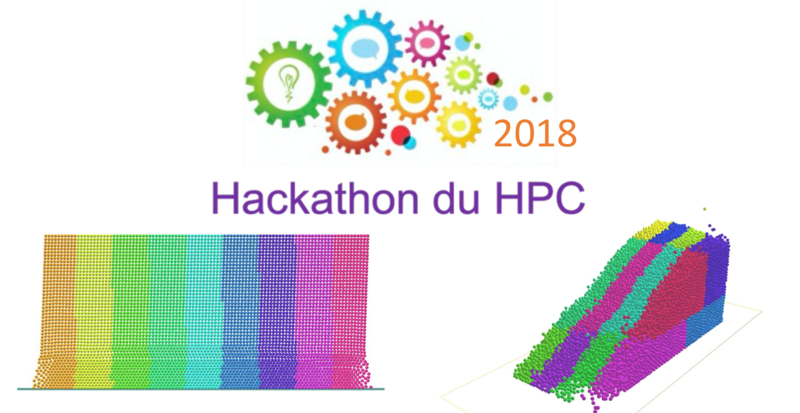 Bruno Chareyre and his team of Yade-MPI hackers participated in, and won, the Hackathon for High Performance Computing (HPC) 2018 organized by GENCI . As highlighted here , 11 teams comprised of 70 total participants competed to optimize high performance scientific codes ranging from fluid Mechanics to bioinformatics. 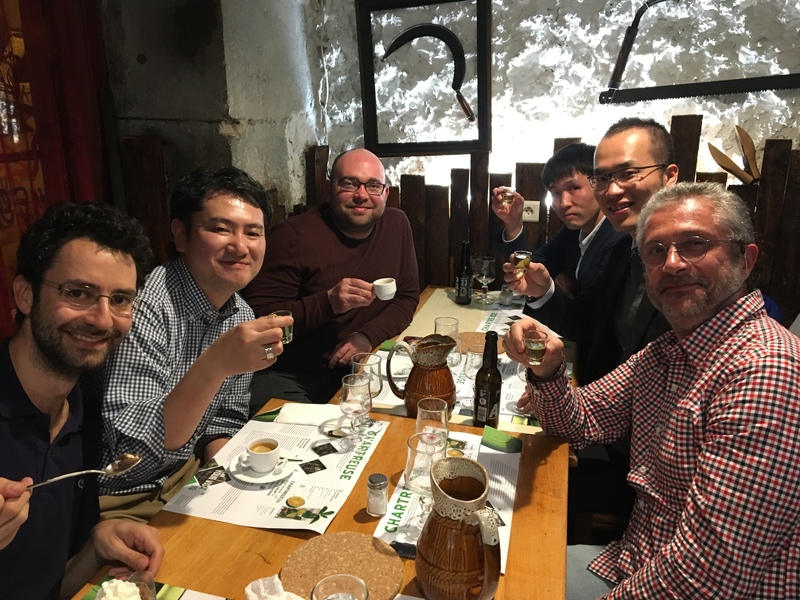 3SR’s Yade-MPI Discrete Element Method (DEM) team was comprised of 6 PhD students and Post Docs [*] who gathered for 2 full days and 19828 core hours of dense hacking. At the end, our Grenoble based DEM team managed to exceed objectives by 300% by profiling the code, incorporating efficient MPI communications, and adding user friendly Yade GRICAD utilities. For more information, watch the GRICAD video  . 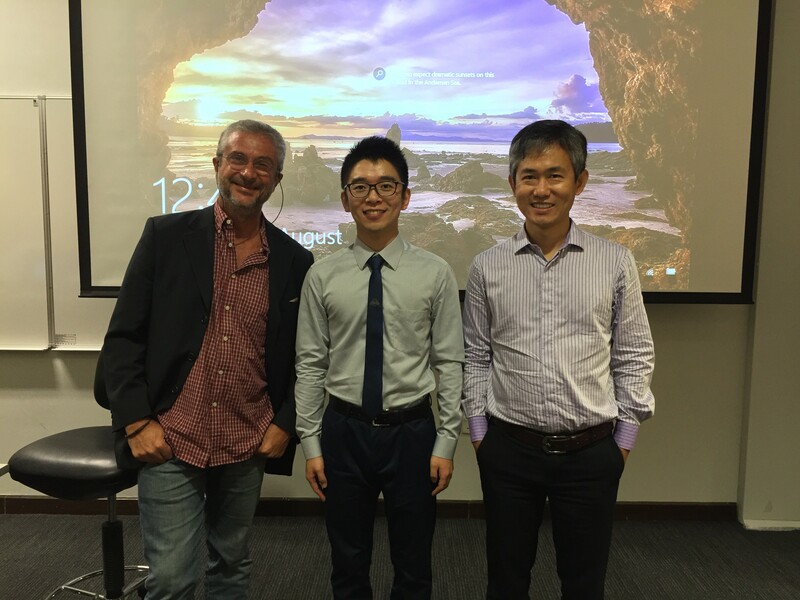 Eddy and Cino attended the Patterns in Geomechanics workshop (PIG 2019) in Sydney, Australia (https://www.benjymarks.com/patterns-in-geomechanics-2019/). They gave two talks on “Experimental observations of emergence of shear bands at different scales” and “Localized compaction in Tuffeau de Maastricht”, respectively. Maddi Etxegarai defended her thesis on January 21. Her PhD is entitled “Coupled hydro-mechanics of reservoir rocks studied by quantitative in-situ neutron imaging”, and was supervised by Erika Tudisco and Steve Hall at Lund University, Sweden, and Alessandro Tengattini and Cino Viggiani at 3SR. in low permeability Geomaterials), lead by Giulio Sciarra in Nantes. On February 2019, Alessandro Tengattini has started a new (non permanent) position of “Joint UGA-ILL Research Scientist”. The “joint” means that his time (and salary) will be shared by UGA and ILL.
Katia Boschi is visiting us for two months in the framework of a collaboration with Prof. Claudio Giulio di Prisco at Politecnico di Milano. Katia is starting a PhD on numerical and analytical modeling of grout injection in granular materials, as part of a larger research project in Milano with industrial partner BASF. Indeed, grouting and jet-grouting are geotechnical consolidation techniques commonly employed to improve the mechanical behavior of soils. Although these techniques are common, the micro-mechanical processes taking place at the local level are not yet quantitatively and qualitatively understood and hence rightly modeled. This first stay in Grenoble aims at setting up preliminary models with the hydromechanical couplings available in Yade-DEM, under the guidance of Bruno Chareyre. Seizo Tanaka and Kyosuke Yamamoto both from the University of Tsukuba presented their work on fluid-structure interaction and bridge vibration to the lab at the beginning of March. Recent results on the geogrid modeling in the Discrete Element Method framework are shown in the video of this newsletter. The discrete geogrid modeling was implemented in the YADE code using the cylinders and particle facets described respectively in the works of Bourrier, Kneib, Chareyre et al. (2013) and Effeindzourou, Chareyre, Thoeni et al. (2016). At the end of the video, there is a geogrid pull-out simulation using spheres as granular material. Results are obtained by Marcus Guadagnin Moravia. This is the 25th edition of the GéoMécanique newsletter. This new edition contains the latest news regarding research publications, conference visits and other activities of the staff and students from the GéoMécanique group of Laboratoire 3SR (Sols, Solides, Structures – Risques). If you have something you want to share, please don’t hesitate to contact us at: geomecanique.newsletter@3sr-grenoble.fr . Please feel free to forward the letter to colleagues and friends, and let them know that they can subscribe by themselves here. By the way, we wish you a merry Christmas and a happy new year! The ALERT Olek Zienkiewicz Winterschool 2018 on “Natural versus compacted clayey soils: from micro to macro behaviour and modelling” was held in Bari (Italy) from November 5 to November 9. Several (current or former) students from our team attended the school: Angela Casarella, Liliana Gramegna, Mathias Tolomeo, and Alessandro Fraccica (see photo group below). Cino Viggiani gave a lecture on “Experimental characterization of localized deformation in clays and clay rocks”. Eduardo Alonso (Universidad Politécnica de Cataluña, Spain): Coarse granular soils. Long term behaviour. Claudio di Prisco (Politecnico di Milano, Italy): Extension of controllability theory to viscoplastic constitutive relationships. Patrick Selvadurai (McGill University, Canada): Dilatancy and Rupture of Elastically Constrained Geological Interfaces. Manuel Pastor (Universidad Politécnica de Madrid, Spain): Modeling of two-phase landslides. The day was closed by Félix Darve, who gave a talk entitled “Félix in Geomechanics Wonderland”. Mathias Tolomeo defended his thesis on October 20. His PhD is entitled “Forces inferred from macroscopic loading and grain motions”, and was supervised by Vincent Richefeu, Gaël Combe, Cino Viggiani, and Jean-Noël Roux. 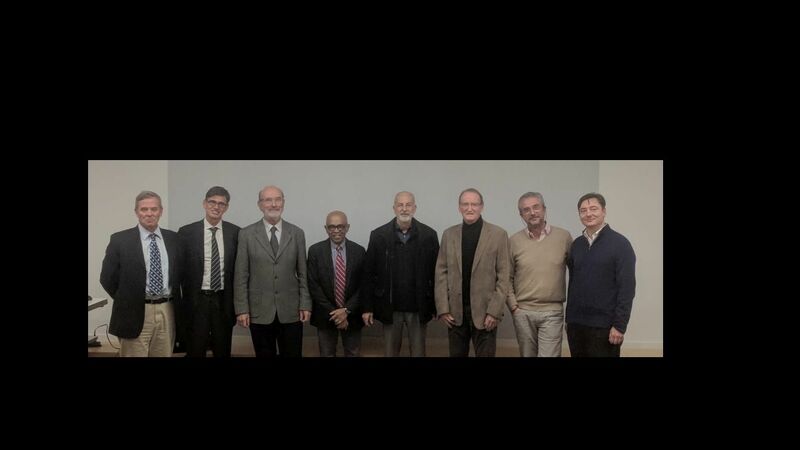 Thanos Papazoglou defended his thesis on December 13. 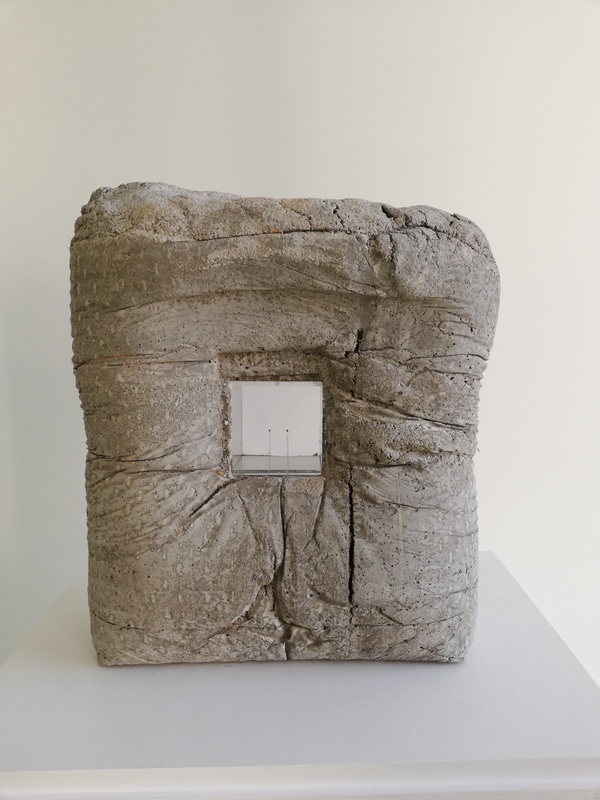 His PhD is entitled “An experimental study of localized compaction in high porosity rocks: the example of Tuffeau de Maastricht”, and was supervised by Cino Viggiani, Christophe Dano, and Giuseppe Buscarnera (Northwestern University, USA). We had a visit from Yorgos Birmpilis from Chalmers University in Gothenburg (Sweden) with his beautiful x-ray compatible Bishop & Wesley triaxial for soft clays… 74 tomographies per test! Marius Milatz from the Technical University of Hamburg came with his RaspberryPi powered loading system to compress unsaturated columns of sand and following granular rearrangements and water movement with x-ray tomography. The paper entitled “Field experiments at three sites to investigate the effects of age on steel piles driven in sand” by Roselyn Carroll & P Carotenuto (NGI), C Dano, & I Salama (3SR), M. Silva (Universidad Técnica Federico Santa María), K Gavin (TU Delft) and R Jardine (Imperial College London) has been accepted for publication in Geotechnique. 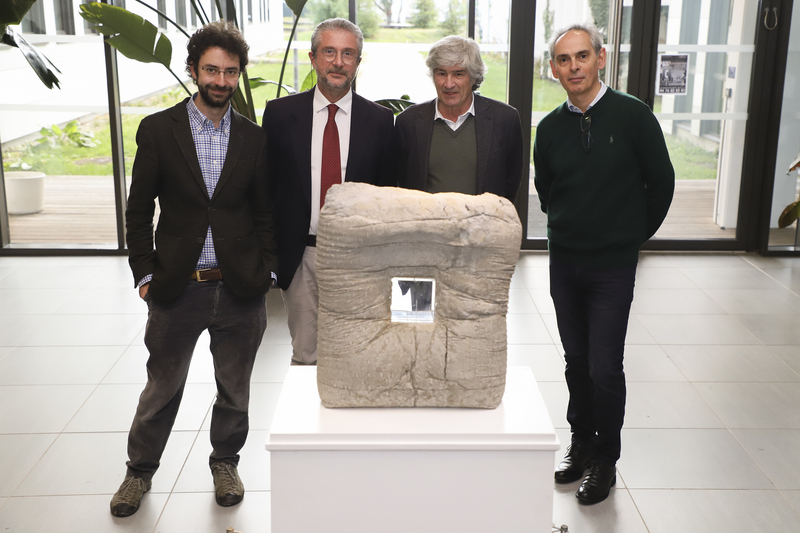 On December 4, the sculpture “Essere vento, 2015″ was officially presented in our lab, in the presence of the director of the Museum of Grenoble, the president of UGA, a city council representative, and — most importantly — almost all the members of 3SR. “Essere vento” has been sculpted by the artist Giuseppe Penone and it is the result of a 4-year collaboration between him, Joël Chevrier, Eddy Andò and Cino Viggiani. The objective here is to find out the zone of influence in sand volume under the combined loading action in the installed pile. It will aid in decision-making for the strategic location of soil stress transducers in the experimental sand volume. Moreover, the application of lateral load till failure provides a rough estimate of the static load capacity of model pile and subsequently determines the amplitude of cyclic loading. Gael Combe presented the work of Jeanne Doreau-Malioche entitled: “Grain- scale study of pile installation and subsequent axial loading cycles”. Floriana Anselmucci presented her work entitled: ” Quantifying micro-structural changes in sand due to plant root growth”. “Neutron and x-ray imaging for capturing flow phenomena in geomaterials” by Alessando Tengattini. “Shear behaviour of carbonate rock/grout interfaces: application on offshore piles of wind turbines” by Eleni Stavropoulou. “Multiscale model of partially saturated media based on a pore-network approach and lattice Boltzmann method”, Eduard Puig Montellà. “Characterization of Diffuse and Localized Deformation in a Porous Sandstone: A True-Triaxial Experimental Study”, Cyrille Couture. “Local macro-element model of rigid monopiles in sand”, Ritesh Gupta. “NeXT-Grenoble: The Neutron and X-ray Tomograph in Grenoble”, Alessando Tengattini. Angela Casarella started her PhD on “Effect of varying temperature and degree of saturation on soils THM behaviour: application to energy geostructures ”, under the supervision of Alice Di Donna and Benjamin Loret. Christos Papazoglou started his PhD in the team the 1st October. The title of the PhD is “A micromechanical study of the chemo-hydro-mechanical behavior of granular cemented materials”. He will be supervised by Alessandro Tengattini, Nicolas Lenoir and Cino Viggiani. Floriana Anselmucci moved on the other side of the Atlantic and she will spend 6 months in GeorgiaTech to work with her co-advisor Chloé Arson. Benedikt Weber and Matthieu Briffaut. Jeanne Doreau defended her thesis the 28th of September. Her PhD is entitled “Grain-scale investigation of sand-pile interface under axial loading conditions using x-ray tomography”, supervised by Gaël Combe and Cino Viggiani. Jelke Dijkstra is visiting us from Chalmers University for three weeks between October and November. Ground subsidence represents a significant and complex problem. Localized loss of ground support could be the cause of the collapse of the infrastructure. The geosynthetic reinforcement (GR) is an economic and effective solution to avoid this hazard. It can reduce the total and differential settlement problems. When the geosynthetic sheet is applied on the cohesive soil, it takes up the vertical loads and diffuses them in the form of tensile forces transferred by friction in the anchorage areas. The developed numerical model enables to analyze the mechanism of the transfer of the load into a cohesive soil and the deformations into the geosynthetic sheet as well. The results are compared with experiments that have been previously conducted on a small scale model. Prof.r Gudmund Reidar EIKSUND has joined the Geomechanics Team for 1-year sabbatical period at 3SR. Gudmund is Professor at NTNU in Norway and his main research topics deal with offshore foundations (including for offshore wind turbines), from practical and numerical points of view. Welcome Gudmund ! PhD students Marcus Guadagnin and Eduard Puig left Grenoble to continue their research in Brazil and Barcelona, respectively, but don’t panic, Eduard will come back to the lab to see you and present the PhD defense. Dorjan Dauti (thesis Tec21, supervised by S.Dal Pont) received the 3rd price award in the competition “Young Researcher” (prix Jeunes Chercheurs “Rene Huopert”) given by AUGC (Association Universitaire de Génie Civil). In August, Cino gave a keynote lecture at the 41st Solid Mechanics Conference in Warsaw, Poland. He will also give a keynote lecture at IS-Atlanta 2018, to be held in September 2018. 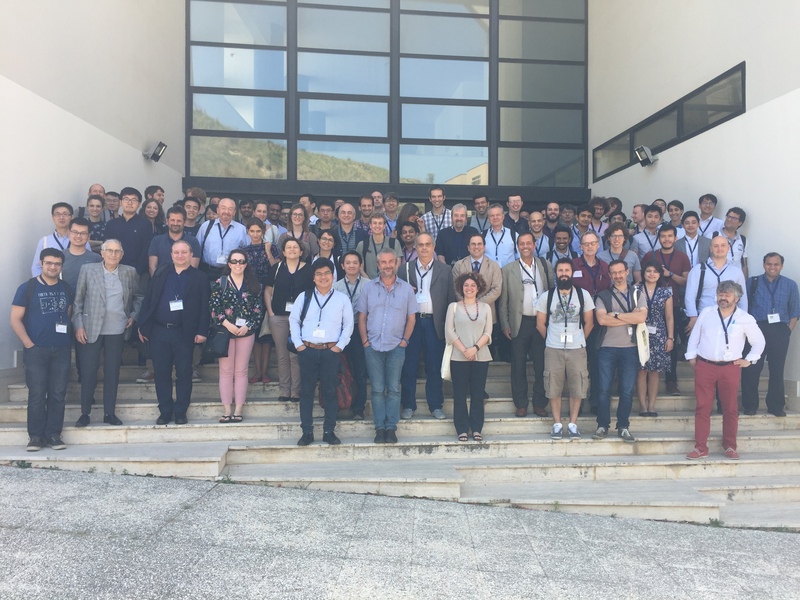 Dorjan Dauti and Stefano Dal Pont attended the 36èmesRencontres Universitaire de Génie Civil from 20-22 June 2018 in Saint-Etienne where Dorjan presented the conference paper entitled “In-situ Neutron tomography and 3D numerical modeling of moisture distribution in concrete at high temperature“. Dorjan Dauti attended and presented in the 6th European Conference on Computational Mechanics (ECCM) jointly organized in Glasgow with the 7th European Conference in Fluid Dynamics (ECFD) from 11-15 June 2018. The title of the presented work, coauthored by Stefano Dal Pont, Benedikt Weber and Matthieu Briffaut, was: Investigation of constitutive laws for modelling concrete at high temperature by the aid of neutron imaging. Alessandro Tengattini and Maddi Etxegarai went to Australia to attend the11th World Conference on Neutron Radiography from 2 to 7 September 2018. Alessandro gave a talk entitled “Recent developments from NeXT-Grenoble, the Neutron and X-ray Tomograph in Grenoble” while Maddi presented the following work: “Investigation of hydromechanical processes in porous rock using 4D neutron imaging”. The paper “Analysis of moisture migration in concrete at high temperature through in-situ neutron tomography” by Dorjan Dauti, Alessandro Tengattini, Stefano Dal Pont, Nikolaj Toropovs, Matthieu Briffaut and Benedikt Weber has been published in Cement and Concrete Research (https://www.sciencedirect.com/science/article/pii/S0008884618301613). The paper “How does strain localise in standard triaxial tests on sand: revisiting the mechanism 20 years on” – by Jacques Desrues, Eddy Andò, Federica Mevoli, Laurent Debove and Cino Viggiani – has been published in the journal “Mechanics Research Communications”. The article “Open-source support toward validating and falsifying discrete mechanics models using synthetic granular materials—Part I: Experimental tests with particles manufactured by a 3D printer.” by Ritesh Gupta, Simon Salager, Kun Wang and Waiching Sun was published in Acta Geotechnica in July 2018. Voussoir Monobloc Compressible (VMC) is an innovative technology of precasted concrete tunnel linings integrating a layer composed of tube-shaped grains such that its compressible behavior is activated (Andra’s & CMC patent). Research study carried out in 3SR by M. Stasiak, G. Combe, V. Richefeu, P. Villard and J. Desrues concerns mechanical behavior of this brittle granular material paying special attention to grain crushing. DEM simulation of oedometer test shows high compressibility of material and progressive grains fragmentation (see the video below). This is the 22nd edition of the GéoMécanique newsletter. The month of May and the days off are over. Despite the holidays, our group doesn’t rest and keeps working hard! This new edition contains the latest news regarding research publications, conference visits and other activities of the staff and students from the GéoMécanique group of Laboratoire 3SR (Sols, Solides, Structures – Risques). If you have something you want to share, please don’t hesitate to contact us at: geomecanique.newsletter@3sr-grenoble.fr. Please feel free to forward the letter to colleagues and friends, and let them know that they can subscribe by themselves here. Enjoy. “A discrete numerical model involving partial fluid-solid coupling to describe suffusion effects in soils” by R.Aboul Hosna, L.Sibille, N.Benahmed and B.Chareyre has been published in Computers and Geotechnics. The article “Phase segmentation of concrete x-ray tomographic images at meso-scale: Validation with neutron tomography” by Olga Stamati, Emmanuel Roubin, Edward Andò and Yann Malecot, has been published in Cement and Concrete Composites. “Critical review of the description of concrete’s damage-permeability coupling using continuous and regularized elastic-based damage models – New strain-based matching law” by D. Bouhjiti, M. Ezzedine El Dandachy, F. Dufour, S. Dal Pont, M. Briffaut, J. Baroth, B. Masson has been accepted in the Numerical Methods in Geomechanics. “COST TU1404 benchmark on macroscopic modelling of concrete and concrete structures at early age: Proof-of-concept stage” by A. Jędrzejewska, F.Benboudjema, L. Lacarriere, M. Azenha, D. Schlicke, S. Dal Pont., A. Delaplace, J. Granja, K. Hájková, P. Heinrich, G. Sciumè, E. Strieder, E. Stierschneider, V. Smilauer, V. Troyan, has been published in Construction and Building Materials. The International Society of Porous Media “Interpore” released a Research Spotlight on Yade-DEM.org, and more specifically the hydro-mechanical couplings available therein. Mustafa Sari from the University of New South Wales visited the lab in May and gave a talk on “Geomechanical Modelling of Pore Collapsing in Soft Porous Rocks: Insights From Triaxial Experiments and Numerical Simulations in Sandstone, Mudstone And Shale Samples”. “A micro-mechanics focused experimental investigation of cemented granular materials”, Alessandro Tengattini. 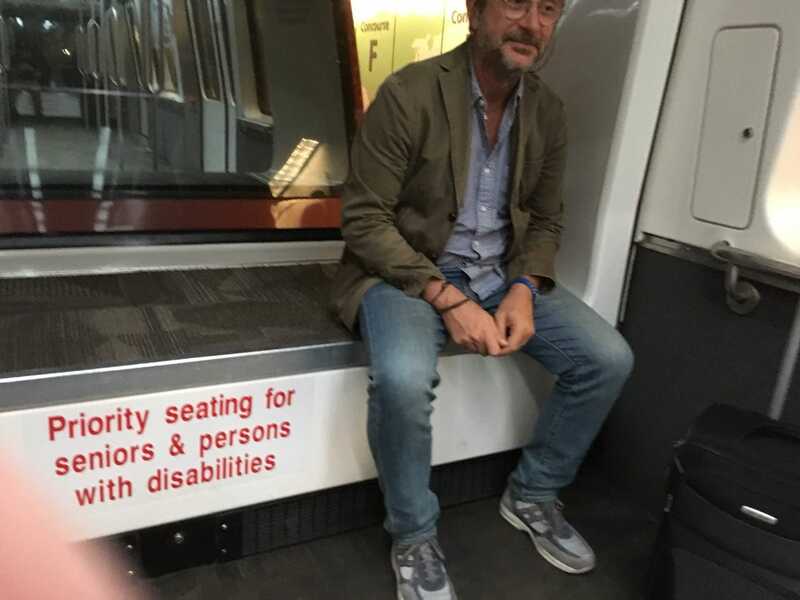 Bruno Chareyre attended and presented in the InterPore 10th Annual Meeting and Jubilee which took place in New Orleans from May 14th-17th, 2018. Ivan Deiros has defended the 2nd of May, 2018. His PhD entitled “A Multi-scale study of the degradation of railway ballast” was supervised by Gaël Combe, Fabrice Emeriault, Charles Voivret and Jean-François Ferellec. Robert Caulk, PhD student at University of California San Diego, has been selected as a recipient of a Chateaubriand Fellowship supported by the Make Our Planet Great Again Initiative. Robert is a developer and active member of the Yade-dem.org community. This grant will cover a 9-month stay in Grenoble for further collaborative efforts in relation to micro-hydro-mechanical couplings. This is the 21th edition of the GéoMécanique newsletter. It was desperately expected by many since the last issue was in November 2017. 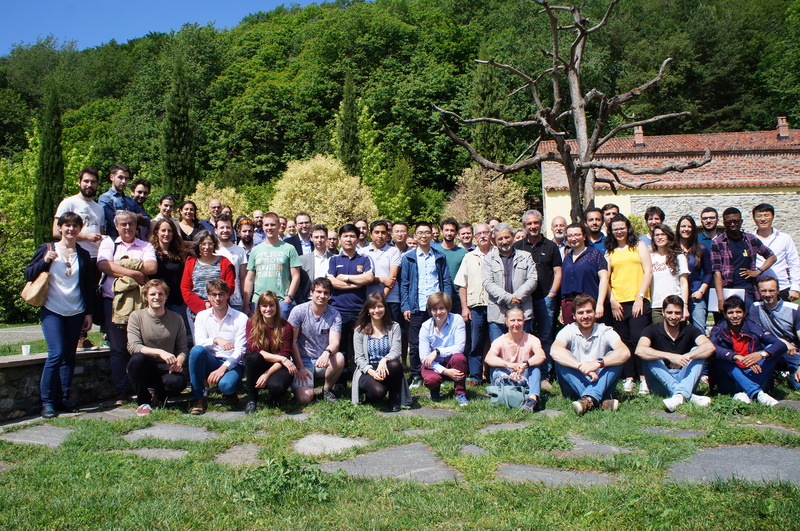 As usual it contains the latest news regarding research publications, conference visits and other activities of the staff and students from the GéoMécanique group of Laboratoire 3SR (Sols, Solides, Structures – Risques). This time, however, it is not prepared and conveyed to you by Chao Yuan (see “People” section). If you have something you want to share, please don’t hesitate to contact us at: geomecanique.newsletter|AT|3sr-grenoble.fr. Please feel free to forward the letter to colleagues and friends, and let them know that they can subscribe by themselves here. Enjoy. 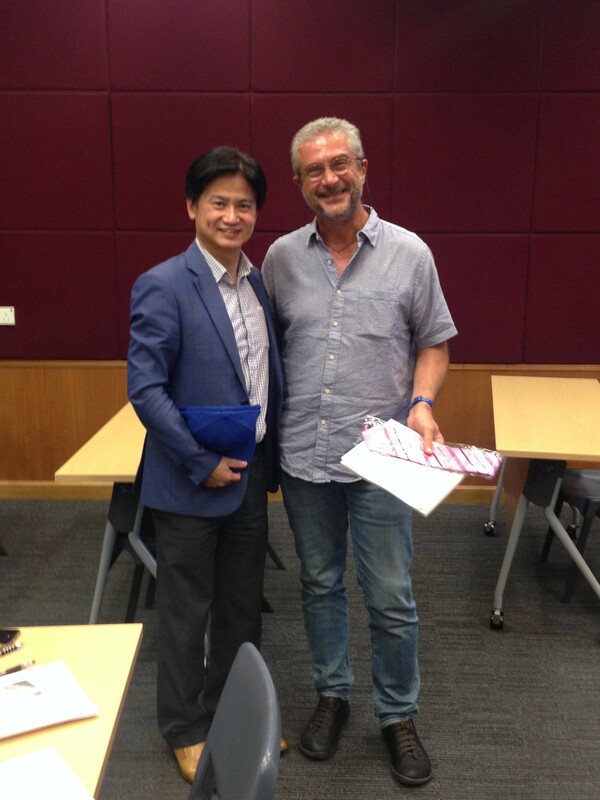 Chao Yuan left the lab after five years of good research. He is now in Calgary as a Post-Doc in the group of Richard Wan, and continuously trying to make progresses in the modeling of multiphase problems – without freezing. Word of the PhD director B. Chareyre: “I miss him BADLY! Why did he leave?”. Chao was managing this Newsletter since the first issue and for this alone he deserves many thanks. Ciao Chao. Frédéric Donzé moved from the group and from Laboratoire 3SR to go next-door to ISTerre, taking Alexandra Tsopela with him for more géo-adventures. Eleni Stavropoulou joined the Geomechanics Team as a Post-Doc working with Christophe Dano on the interface behaviour of soft rocks and grout applied to off-shore piles design. This is the 20th edition of the GéoMécanique newsletter. It contains the latest news regarding research publications, conference visits and other activities of the staff and students from the GéoMécanique group of Laboratoire 3SR (Sols, Solides, Structures – Risques). If you have something you want to share, please don’t hesitate to contact us at: geomecanique.newsletter|AT|3sr-grenoble.fr. Please feel free to forward the letter to colleagues and friends, and let them know that they can subscribe by themselves here. Enjoy. Cino Viggiani has been elected as the new president of ALERT-Geomaterials (for the next three years). This is the 19th edition of the GéoMécanique newsletter. It contains the latest news regarding research publications, conference visits and other activities of the staff and students from the GéoMécanique group of Laboratoire 3SR (Sols, Solides, Structures – Risques). If you have something you want to share, please don’t hesitate to contact us at: geomecanique.newsletter|AT|3sr-grenoble.fr. Please feel free to forward the letter to colleagues and friends, and let them know that they can subscribe by themselves here. Enjoy. 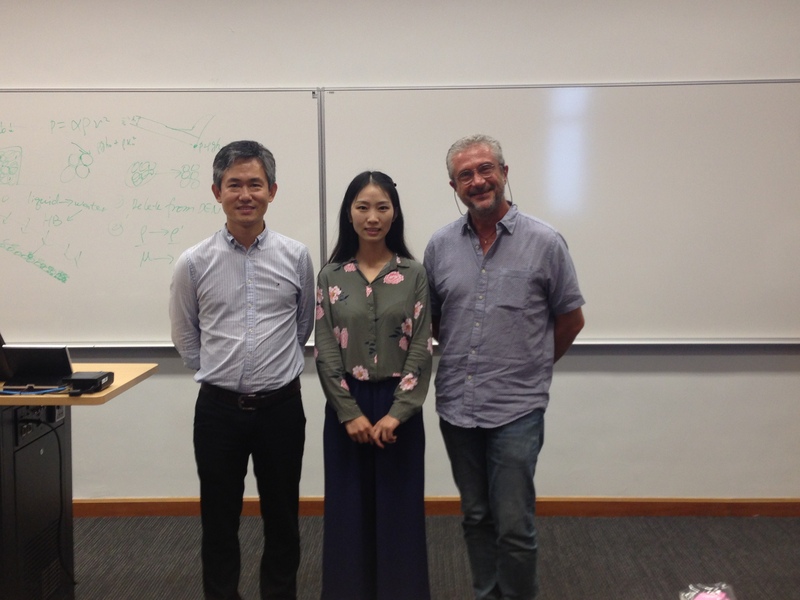 Zeynep successfully defended her PhD at the University of Edinburgh on the 4th of September with Florian Fusseis and Matthew Coop as assessors. The title of her thesis is “A study of temporal and spatial evolution of deformation and breakage of dry granular materials using x-ray computed tomography and the discrete element method” and it will be available online by the end of December. Well done Zeynep! This is the 18th edition of the GéoMécanique newsletter. It contains the latest news regarding research publications, conference visits and other activities of the staff and students from the GéoMécanique group of Laboratoire 3SR (Sols, Solides, Structures – Risques). If you have something you want to share, please don’t hesitate to contact us at: geomecanique.newsletter|AT|3sr-grenoble.fr. Please feel free to forward the letter to colleagues and friends, and let them know that they can subscribe by themselves here. Enjoy. This is the 17th edition of the GéoMécanique newsletter. It contains the latest news regarding research publications, conference visits and other activities of the staff and students from the GéoMécanique group of Laboratoire 3SR (Sols, Solides, Structures – Risques). If you have something you want to share, please don’t hesitate to contact us at: geomecanique.newsletter@3sr-grenoble.fr. Please feel free to forward the letter to colleagues and friends, and let them know that they can subscribe by themselves here. Enjoy.